While a large part of my job involves interacting with brides, I also invest time in continuing my education. Whether through retreats, workshops. classes or networking meetings, I am always working to improve. I thought I would share a glimpse of some of my recent activities. I frequently attend networking meetings and events to meet new vendors, learn about new venues and locations as well as new wedding information. Last fall I joined the Nashville Wedding Planners Group for a weekend retreat with celebrity planner Tara Guerard. She flew from Charleston to Nashville to talk personally with the planners about managing weddings and running our businesses. Earlier this month, I was at a week-long convention at Opryland with The Special Event Show, a conference for event professionals. This annual event offers classes and workshops as well as an exhibit hall and galleries filled with new trends and designs. I took so many notes and photos to improve my business, execute events and make planning easier. I can't wait to share them all with you. Having a little fun in the exhibit hall. That is over 40 hours of continuing education in order to make me a smarter business owner and better event planner. At your wedding, you probably want everything to go smoothly with no disruptions. So what happens when there is a problem? Who gets to tell you uncle to stop drinking or make sure your ex-boyfriend doesn't crash the wedding? Your new best friend - your wedding planner. See we have no problem telling someone that have to leave the building or aren't allowed to attend. If they are in the wrong place, we will tell them to please go to where they need to be. It isn't that we are cold and heartless. It is that we know what has to be done and we are detached from the emotions of the situation. At the end of the day, we don't have to be related to them or stay friends with them like you do. Having a wedding planner can save your relationship while still keep things running smoothly. Some of the benefits of hiring a wedding planner aren't on the usual list. One of the perks and advantages of hiring a wedding planner is that they aren't related to you. They aren't your family or friends. They will give you an unbiased opinion about ideas. They aren't trying to please everyone in your family...just you, the bride. While they respect and value traditions, the won't try to convince you of something because "it's always been done that way." Having someone who isn't emotionally invested can be a life saver. We can step back and look at the big picture and find the compromise. We can help negotiate through tricky situations. Dealing with family can sometimes be one of the hardest aspects of wedding planning. Navigating through these family issues with a neutral person can save your sanity and relationships. There are hundreds, actually thousands of amazing wedding professionals around the Middle TN and North AL area. Each one of these vendors can provide you with the services and products that you need to make your day special. But I think it is very important for you to find vendors that fit your personality and style. Usually this is a decision that can be made after the consultation meeting. But sometimes it takes longer. I had a bride and groom meet with me and then book my services for their wedding almost a year before the actual date. A little time goes by and then I get an email stating that she doesn't want my services and wants to use a friend. From a business side I was a little upset since I knew that the odds were slim of me booking another wedding that same date on short notice. But I parted on good terms with the bride. A few more months go by and I happen to see that same bride's wedding on a wedding blog. In the article she describes parting company with me and then hiring another local wedding planner. You know what...I was kinda hurt. But then I stepped back and looked at the bigger picture. I realized that it was for the best that the bride left me and went with another planner. When she was first planning, she just wanted to check a box off her to-do list and didn't take the time to decide if I was the right planner for her and her wedding. Sometimes when emailing or chatting with a bride I realize that this isn't the right bride for me; she has needs that I can't meet or we just aren't a good fit. When choosing a planner, it isn't always about budget or style or communication; you have to like them as a person and have a gut feeling that they are the right one. You don't want to add to your stress by changing wedding planners. When you are meeting with a wedding planner, make sure that they not only match the services and budget that you need, but also that they are a good fit. Are they a legitimate business? Licensed? Insured? Are they part of the a wedding group or network? Can you view some of their previous weddings and testimonials? Do they make you feel relaxed? 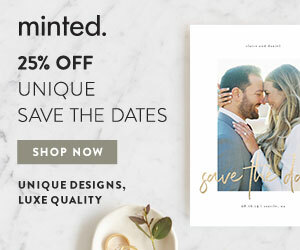 Do they understand the style of your wedding? Are you comfortable being around them for hours at a time? Did they listen to your ideas? Can you tell them all the family issues around the wedding and not feel like you have to withhold information? Do they try to sell you on bigger packages or more expensive vendors? Do they respect your budget? These are just a few of the questions to ask yourself after your consultation meeting with a planner. Everyone is unique. It is important to find a planner whose personality complements yours to make your day stress free and blissful.